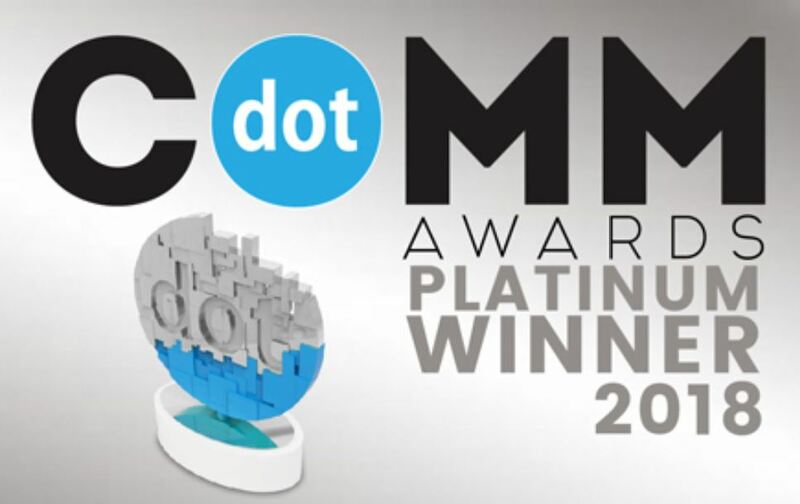 On August 1st, Precision was recognized with a platinum dotCOMM Award for its brand new, revitalized digital presence. The award considered the entirety of our updated digital presence including the brand redesign, social media channels, communications materials, product brochures, positioning, and more. Our organization is pleased to announce that we will also be launching our brand new, redesigned website in accordance with our updated corporate branding and we will announce developments with that shortly. Founded in 1994, the dotCOMM Awards is an international competition that honors excellence in creativity and digital communications. Precision was selected among more than 6,000 entries and is one of only 300 companies awarded with platinum recognition. Some of the other companies amongst the platinum winners include AIG, the Washington Post, Deloitte, Hilton, Saatchi & Saatchi, and other internationally recognized brands in various industries. Over the last few months, our executive team has worked with our agency partner, Powered Labs, to reposition ourselves in a way that best reflects our principles of delivering innovative, world-class couplings and premium and semi-premium connections to our partners in the oil and gas industry. We look to the future to devise new ways of solving problems for our clients in the production field, to push the limits of engineering and design to conceive and distribute the safest and most reliable products possible. Precision is a Houston-based company founded on principles of demonstrating first-class customer service with every touchpoint we have with our clients. We understand the pressures faced in the fracking field and pay every concern to profitability and safety in oil and gas extraction process. Our products are tighter, safer, and stronger than the competitors, and we take exceptional care to ensure our clients receive the highest possible level of customer service. To learn more about Precision’s products serving the oil country tubular goods (OCTG) industry, contact our sales team today, or call (713)678-8900.